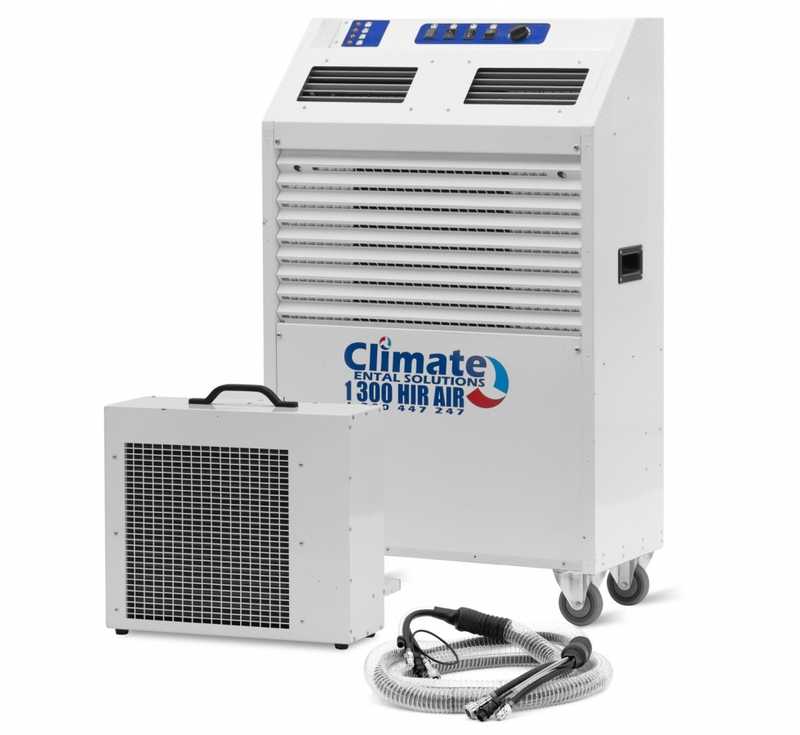 The MCWC 250 is a 7.3kW split system portable air conditioner. The MCWC250 is a 7.3kW split system portable air conditioner. With a water cooled air delivery system, the unit is an ideal solution for large industrial areas. It can be placed up to 35m away from the heat exchanger, which is an essential feature in situations where warm air cannot be ducted away easily. It also features flexible water pipes with easy fit quick couplings, a five meter umbilical hose and easy to use controls.The MCWC 250 is the ideal hire portable air conditioner for those challenging environments.